User experience design, also known as UX design, is the process of designing a product with the user in mind. UX design focuses on improving the usability, accessibility and enjoyment in interactions with your product. A website that utilizes UX design will be easy for the client to navigate through. This means that prospective or current customers will be able to find the information they want on your website quickly, and they will have plenty of chances to interact with your website. These interactions include filling out a contact form or watching a video. The purpose of a company’s website is usually to help or inform prospective and/or current customers. A good website should be designed around what users want from your website. For example, if you own a retail store, users may want to find your store hours or shop online. If you own a restaurant, users need to be able to find your menu quickly and the menu (as well as the whole website) must be mobile responsive. What can you do to make your website more user-friendly? At WebDesign309, we have met with many clients who already had a website, but their website wasn’t converting into new customers. 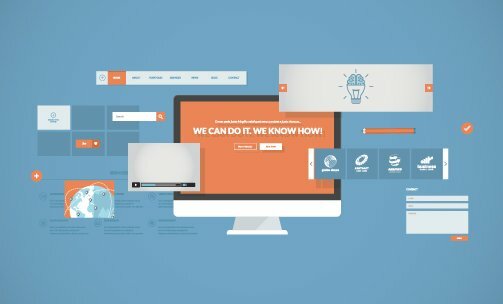 The most common reason why their websites were not converting was because their original websites were not user-friendly. Luckily, if you’re worried about your website’s usability, there are some simple ways you can make your website more user-friendly. You don’t need every page on your website to be visible in your navigation. However, users should still be able to use the navigation bar to find that they need. If you own an insurance company, it would be a bad idea to have all your services visible in your navigation bar all the time because the navigation bar would be too cluttered. Instead, you can have a button in the navigation that says “Services.” Then, when a user hovers over the “Services” button, a drop-down can appear with all your different insurance services listed. This way, someone who is only looking for home insurance or business insurance can easily find what they need. If your website is loading slowly, customers will become frustrated or bored and leave. One quick way to increase website speed is by compressing your website images. You don’t need to upload images that are 2 MB or larger. These will cause your website to load slowly. Instead, resize photos before you add them. Videos will also cause your website to load slower than the average website with no videos. To solve this problem, you can place videos on your website that are fed through another site, like YouTube. This way, the video file isn’t on your website and does not take up extra space in your server. Last but not least, you want your website to convert customers. In order for your website to convert, users must be able to contact you. Add your phone number in the header of your website, include a contact page with your email address, phone number, address and directions and add a contact form for people who would rather contact you through your website. Increasing the ways users can contact you and making it easier for them to find your contact information will help increase conversions. 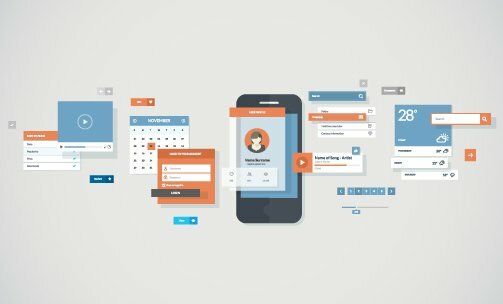 Want to learn more about UX design? These are just a few ways to make your website more user-friendly. If you would like to learn more about UX design, call us today at (309) 213-9398. You can stop in for a free, no-obligation consultation. WebDesign309 is here to help businesses grow.